provide your business with what you need to reach the next level. We offer a comprehensive range of managed IT support packages, alongside a pay as you go IT support service. Our plans are designed for all sizes of business and all levels of technical expertise, so whether your in-house IT needs a little support or you need a complete IT support team on call, we’re here to help. Businesses of all sizes from start-ups to enterprises can take benefit from our range of IT support services, which ensure that their IT and communications are fit to drive their business forward. We offer a complete range of unique website design services, from initial design through to launch. 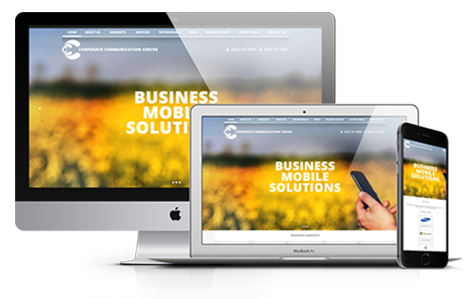 We’ll help you build a responsive, good looking and user friendly website that’ll drive sales to your business. For ultimate control, we can also build in a content management system so you can update content, wherever you are in the world! Our graphic designers are on hand to develop design solutions that work best for you and your brand. We’re home to some of the best designers in the industry, who help us to provide fresh design solutions for our valuable clients. Whether you need to refresh your logo, design better print materials or revamp your website, our Graphic Design team is here to help make those ambitions a reality. It’ll come as no surprise to you that getting to #1 in Google is crucial to the success of your business. At Eeze IT we’ve got search engine optimisation running through our bones. Whether your existing website isn’t performing as well as it should in search rankings or we’re helping to build your new one, our SEO experts will ensure you’re on the right track to land that coveted top spot.